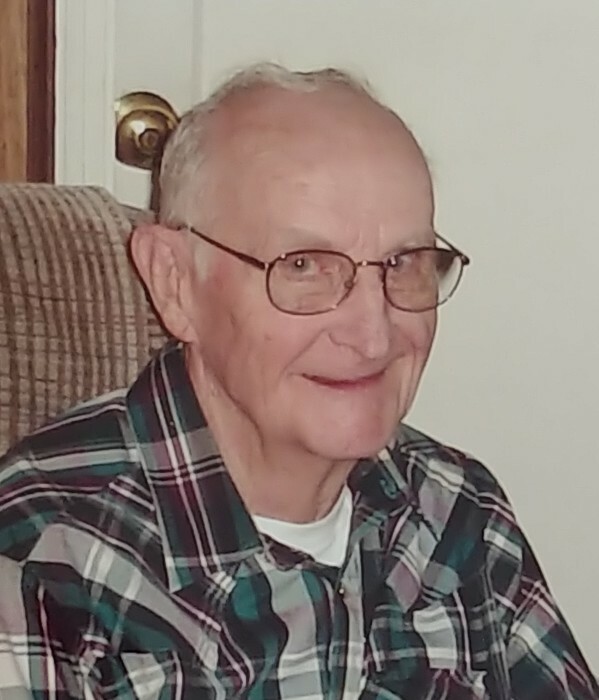 Leo Helling, 92 of Centralia Washington, passed away peacefully, surrounded by his loving family January 29th at Providence Hospital in Centralia. Leo was born to Anthony and Ella (Schaefer) Helling in Fairmount Missouri February 21, 1926, where he lived until joining the Navy on January 1, 1944. Leo was a combat veteran of World War II. He was a crew member of the USS Hugh W. Hadley (DD774) when the destroyer was hit by Kamikazes during the Okinawa campaign in the China Seas. The ship and crew received a presidential Unit Citation for downing 23 enemy aircraft before being put out of action by a coordinated attack of 10 Japanese planes on Easter Sunday, April 1, 1945. Upon leaving the Navy, Leo met his wife Velma, and worked for Standard Oil Refinery in Kansas City for 12 years. He, with his wife and two sons, moved to Centralia in 1958. There he had two additional sons and resided until his death. Leo worked at the Richfield Oil Bulk Plant in Centralia for 16 years, followed by 15 years with the City of Centralia Street Department, retiring in 1989. Leo was a proud United States Veteran and he enjoyed sharing his Navy life with others. He was a kind, caring, and generous man, who never met a stranger. He enjoyed all sports and attended numerous Seattle Mariners and Washington Husky football games. He enjoyed walking, gardening, working crossword puzzles, reading, visiting with people around town, and phoning out of state friends and family. He was a devoted husband and loving father, who cherished his family. He was a hard and dedicated worker and a devout Christian. He attended St. Mary’s and St. Joseph churches. He also served as a Eucharistic Minister for 15 years, bringing Holy Communion to folks in local area rest homes. He is survived by his wife of 68 years, Velma, his four sons, Michael, Dennis (Janette), Kenneth (Kari), and Donald (Sonia). in addition he leaves behind four grandchildren, eight great-grandchildren and one great-great-grandchild. He is preceded in death by his parents, two brothers Cornelius and Ralph, and two sisters, Elnora and Pauline. A memorial service will be held on Thursday, February 21st at St. Mary’s Catholic Church in Centralia at 1:00 pm. It will be preceded by a Catholic Holy Rosary Prayer Service at Noon. In lieu of flowers, the family requests that donations be made to St. Joseph’s School in Chehalis or St. Jude Children’s Hospital.